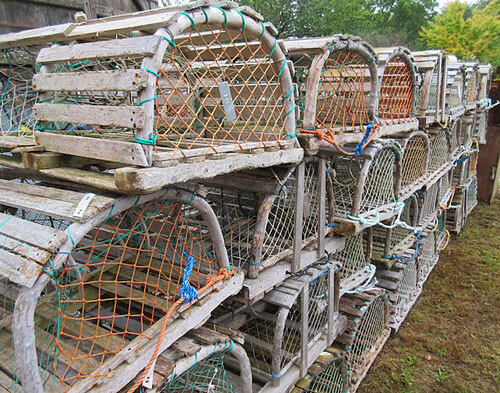 Wood Lobster traps straight from Canada. If you're not into catching Lobsters but want that nautical look, you can put some lights in it, hang upside down, and you've got a great light fixture! 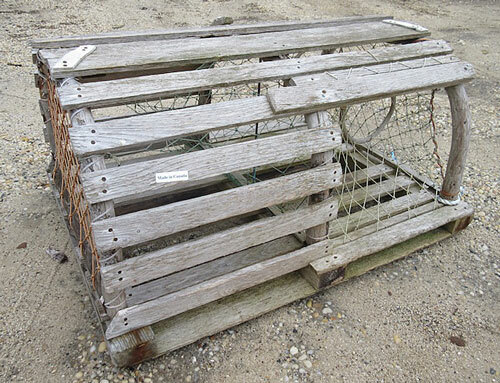 Traps are in great condition and measure about 30" long x 24" wide x 15" high and weigh 20 1/2 pounds each.